Within my daily social life, I often ask people if they know about Bitcoin. For the last few years, most of the responses I received were either “No,” or “Isn’t that what people use for illegal activities?” But towards the end of this year, something changed. People started asking me, “How do I buy it?” and “How high do you think it’ll go?” That’s likely because Bitcoin’s most recent valuation at $11,000 is hard to ignore. Mainstream media has certainly taken notice as well. Recently, it gave me a good laugh to see that headlines about Bitcoin surpassing the $10,000 mark ranked higher than those about how North Korea can now reach the U.S. with nuclear weapons. Bitcoin had a tremendous year in 2017 — but just how good? Bitcoin started the year valued at $963 dollars each and has seen a staggering 1000 percent growth within the last 11 months. To put that into perspective, a $1000-dollar investment in Bitcoin is now worth more than $10,000. As an example, an investment in January equivalent to the price of an iPhone 7 could now buy you 10 of the iPhone X. The reason behind the staggering growth is the money that has been flowing into cryptocurrencies. The overall market capitalization of all cryptocurrencies (including Bitcoin) fell just shy of $18 billion at the start of the year. We are now sitting at $300 billion, with Bitcoin representing just over half of the total cryptocurrency market capitalization. That means about $282 billion has been invested in Bitcoin and other cryptocurrencies available. That's more than the market capitalization of both Disney and Netflix combined. Cryptocurrency is also worth more than Citibank, and its value could buy Tesla five times over. As high as that sounds, the overall market cap of Bitcoin and other cryptocurrencies is still nothing compared to some of the largest tech companies in the world. Their value is also nowhere close to the 16 stock exchanges around the world that have more than $1 trillion in market capitalization. But that will change in 2018 when Bitcoin sees another 1000 percent in growth — and I’ll tell you why. Coinbase, the San Francisco-bed Bitcoin exchange and the largest in the U.S., has more than 12 million user accounts and is estimated to be adding between 50,000 to 100,000 new accounts per day. Those numbers are expected to grow even more in 2018. Gemini, another U.S.-based exchange out of New York, is also adding tens of thousands of new accounts daily. Gemini was founded by the Winklevoss twins, who are famous for their lawsuit against Mark Zuckerberg that claimed he stole the idea of Facebook from them. Point-of-sale app Square recently launched Bitcoin beta testing for buying and selling on its Cash app. In addition, rumors are swirling that PayPal will soon integrate Bitcoin within its payment platform. These consumer-based products and exchanges will definitely increase user adoption and allow easier ways for people to buy, sell and use Bitcoin. However, the real driver of Bitcoin’s growth in 2018 will be big institutional money. Billions and billions of new dollars are flowing in from futures trading and exchange-traded funds (ETFs). Both CME Group (the largest futures exchange in the U.S.) and CBOE (the largest options exchange in the U.S.) plan on releasing Bitcoin futures later this year or early 2018. Both are fighting it out to see who can become the largest Bitcoin futures provider — and they aren’t the only ones. NASDAQ recently announced it plans on introducing Bitcoin futures in the first half of 2018. Futures trading will allow institutional investors (aka hedge funds) to pour billions into Bitcoin without needing to buy, store and secure Bitcoins. As easy as Coinbase makes buying and selling Bitcoin, it comes with a lot of limitations. But it doesn't stop with futures. Proshares, VanEck and the Winklevoss’ Bitcoin ETFs are next. All of Bitcoin-based ETFs have been denied by the U.S. Securities and Exchange Commission (SEC) numerous times in 2017, but most analysts and industry experts expect that the SEC will have to give the green light after futures trading starts. So theoretically, we could see Bitcoin ETFs within the second half of 2018. Combined, I believe Bitcoin futures and ETFs will finally put the naysayers to rest and legitimize and validate Bitcoin as having value and as a digital currency. Without a doubt, Bitcoin’s price will go up exponentially in 2018. And unlike other fiat currency that can be printed, oil that can be drilled and gold that can be mined, Bitcoin is comparatively finite. After 21 million Bitcoins have been mined with specialized computers, there will be no more. Currently, we are near the 17 million mark, and it has been estimated that as many as 5 million Bitcoins have been lost by people who threw away their wallet or forgot their private keys. In conclusion, as high as Bitcoin jumped in 2017, I see 2018 being just as good — if not better. 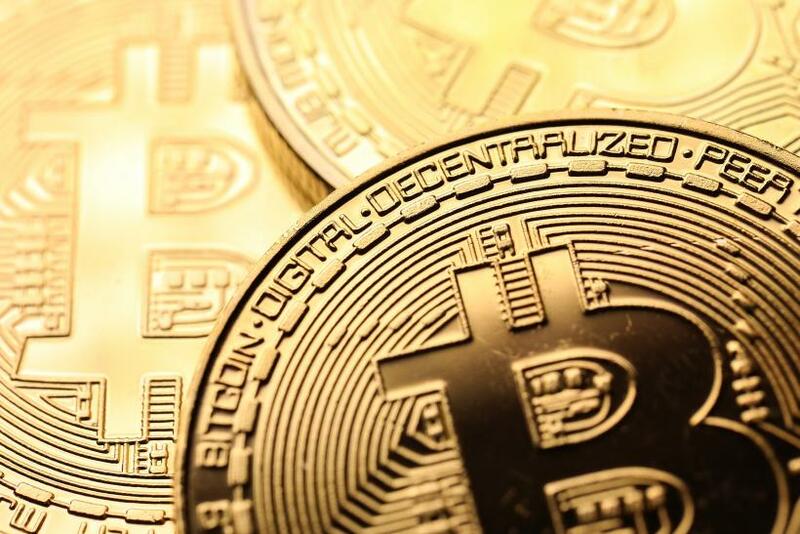 As consumers are given easier ways to buy and sell Bitcoins, businesses and institutional investors will see lots of new options in terms of how to spend their billions on Bitcoin in a way they are accustomed to and without ever needing to buy a single one. I predict Bitcoin to end with a bang in 2017 and be valued close to $15,000 by Dec. 31. I predict that Bitcoin will be valued at as high as $150,000 by Dec. 31, 2018. But more importantly, I believe 2017 will be the last year middle-class people will still be able to afford to buy and hold on to a few Bitcoins. By this time next year, only the wealthy and longtime holders of Bitcoin will claim to have more than a few. George Tung is the owner of CryptosRus.com, which covers Bitcoin and cryptocurrency analysis, guides, reviews and more. Is Bitcoin Regulation On Its Way?